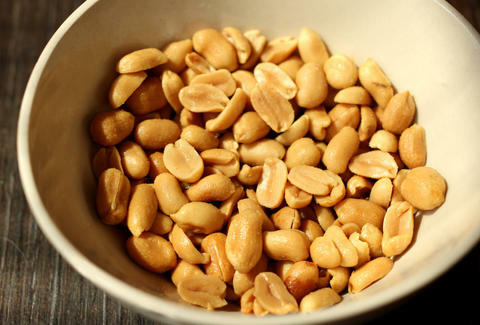 That's right: according to new research published in the International Journal of Epidemiology, eating roughly 15g of peanuts each day can decrease your risk of death due to cancer, diabetes, respiratory disease, and cardiovascular diseases. No wonder Mr. Peanut's aged so well over the past 50 years. The study followed 120,852 Dutch men and women over the course of 29 years, and found nonlinear relationships between consumption of whole peanuts or tree nuts and a reduced risk of "overall and cause-specific mortality." Interestingly enough, though the data revealed that consuming peanut butter didn't really have the same effect as the whole nuts themselves. In other words, a PB&J sandwich is no replacement for simply grabbing a handful of honey roasted goodness each day. That said, if you're trying to stay healthy and you have to have your peanut butter, you're probably better off with the chunky stuff.